I need to double check my plan to see if this additional charge to unlimited data is going to affect me. I love having unlimited data on Verizon. It's fast and reliable, and I like not having to worry about going over my data limit and being charged for extra costs. I actually got a smart phone about a week before Verizon stopped offering unlimited data plans. According to the article, not very many people have unlimited data plans (I guess that makes me special!). I guess Verizon is trying to maximize profits and standardize their plans. I think having customers with unlimited data, Verizon has to maintain their old plans' details and continue to educate their employees on how they work. If everyone is on the same plan, with varying sizes of data, it's probably easier for everyone at Verizon, instead of managing 2-3 different plans. I might be willing to pay the extra $20/month to keep unlimited data, but if not, at least data plans/pools are getting better. 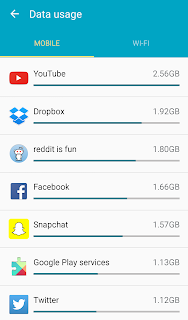 Old data plans/pools of < 8 GB for 4 people was stupid and just greedy. I'll let you know what I decide. For now, I'm probably going to stream a bunch of video on my phone out of spite! 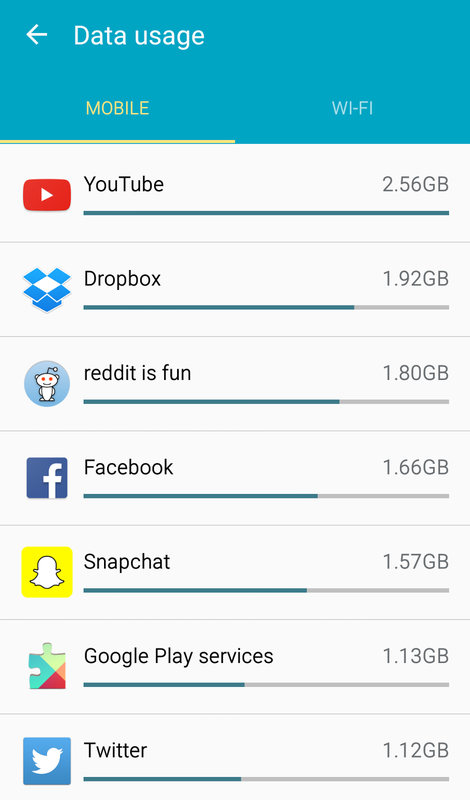 Below is a picture of a recent month's data usage for my phone.